a) When you need to create a new project, please click the Projects button in the Ribbon and then the Main tab. You will see the project profile window. Click the New Project button and you will be asked to choose a client. 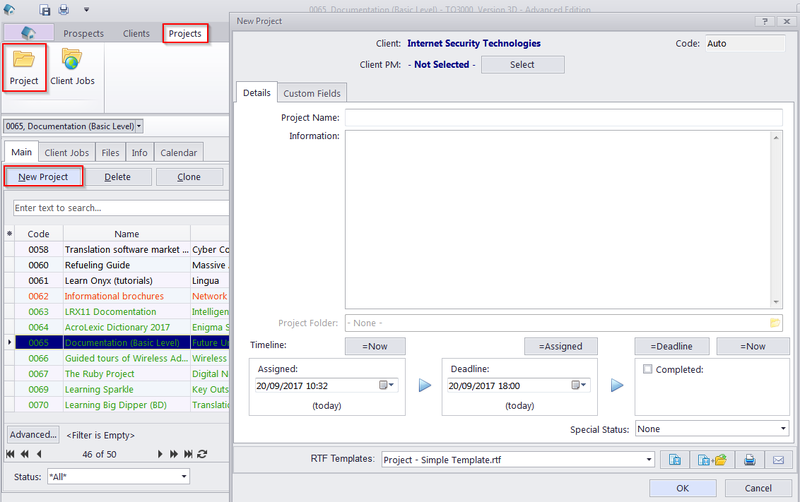 After that you should enter the Project name and Timeline details in the next dialog box. Click OK to confirm. b) Now you have to assign one or more client jobs to this project. Click the Client jobs tab, and then the New button. Enter your client job information and click the OK button to save the changes. c) If your client job is completed and you need to invoice it, return to the Clients section by clicking Clients button in the ribbon. 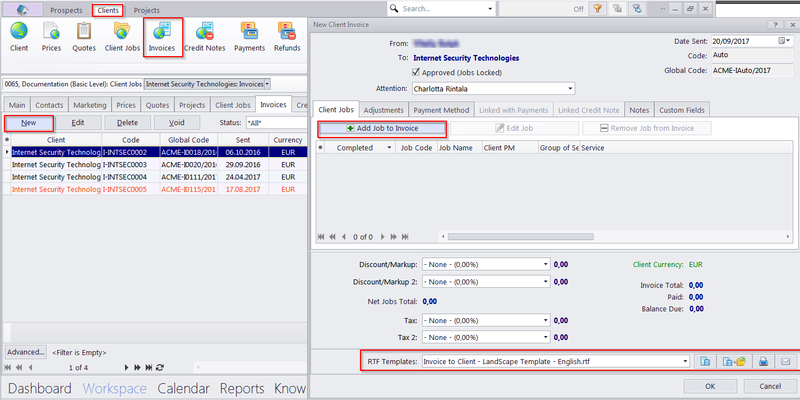 Choose your client name (which job should be invoiced) and then click the Invoices tab (not the button in the ribbon). 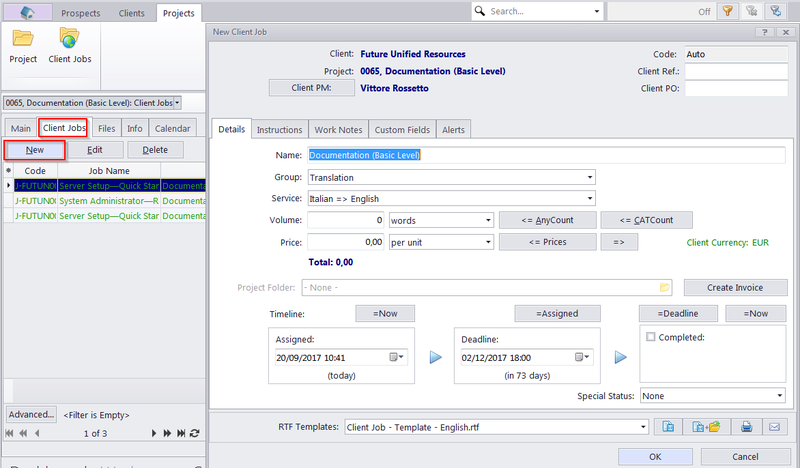 When you click the New button, the program distinguishes all client jobs of the mentioned client that are not invoiced. You can add it/them to an invoice clicking the Add Job to Invoice button in the opened dialog box. Push OK when all invoice details are entered. Now you can save/open/print your invoice. Just double-click the created invoice and choose the template name in the Edit Invoice window.